Institutional | Edward B. Walsh & Associates, Inc.
Edward B. Walsh and Associates (EBWA) worked with Saint Joseph Parish to complete the development plans for a 30,000 SF 1200 seat capacity Church and new parking lots. The initial scope of the project included situating the new Church on the Saint Joseph Parish complex so that it blended with the existing school, convent and rectory. 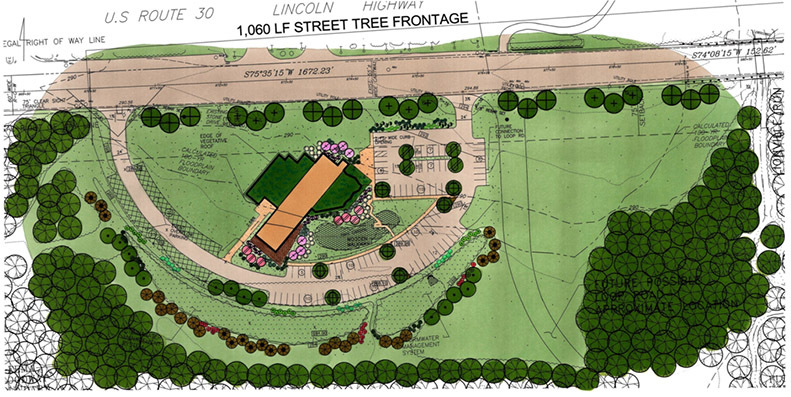 EBWA provided expert witness testimony at the Downingtown Borough Zoning Hearing Board and prepared all site, construction, landscape, lighting and stormwater management plans for the project. EBWA also represented the Parish at all Borough Planning Commission and Council Meetings. Additionally, EBWA prepared Post Construction Stormwater Management plans, NPDES permit documents, PennDOT permit plans for two new ADA ramps and a sidewalk along Manor Avenue. All services were performed while simultaneously coordinating and phasing the construction so the existing church and school could remain open. 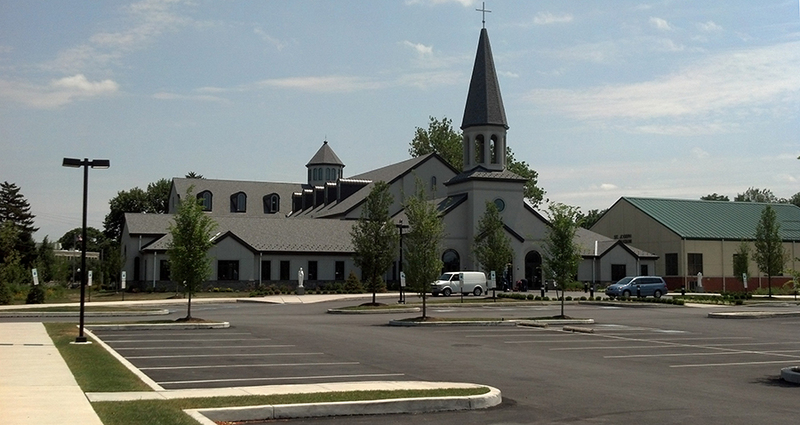 The result is a new 1200-seat Church and landscaped parking lot that serves the daily needs of the parish, as well as the regional needs of the Archdioceses of Philadelphia. 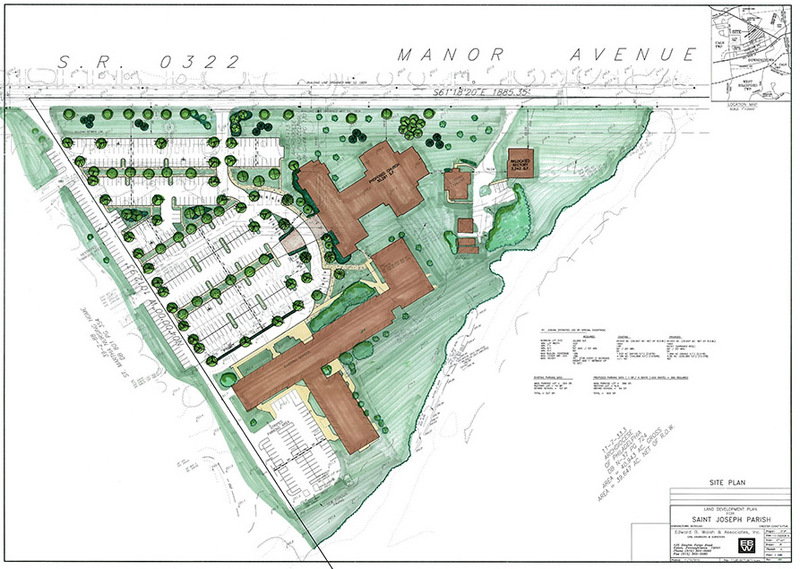 Edward B. Walsh & Associates, Inc. (EBWA) worked with BSA Chester County Council and a design consultant team to generate a new County facility for the Boy Scouts on a 29 acre campus in Exton, PA. The site included wooded areas, wetlands and multiple streams making it a good location for the Council headquarters with the use of the grounds for Boy Scout training areas and activities. These same attributes for use by the Boy Scouts were design considerations that had to be incorporated into the plans to ensure the facility can function as required by local and state code, as well as function as intended by the Boy Scouts. 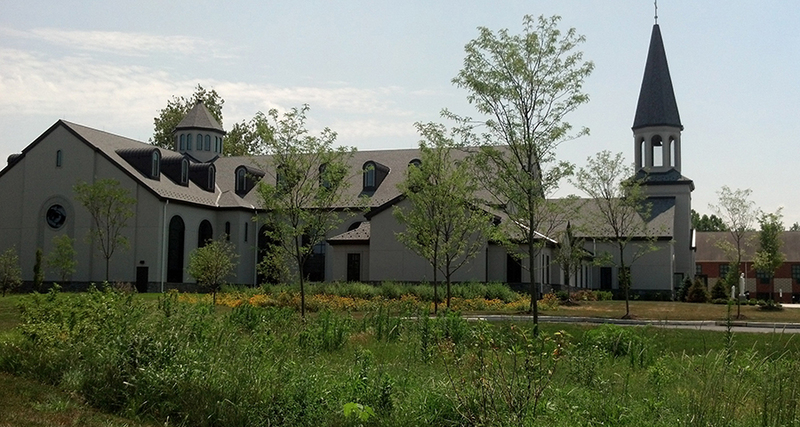 The site utilized multiple best management practices systems including vegetated roofs, constructed wetlands, rain gardens and porous paving to ensure the site development does not have a negative impact on the environment.